Okay, Halloween is right around the corner, with long cold nights, demanding children, and the undead. So a perfect time to talk about Bran Stark’s storyline on Game of Thrones. He’s a Stark, Therefore AWESOME, right? Hey, I’m all Team Stark. I’ve gone to bat for Ned, Cat, Robb, Sansa, and Arya. And especially Jon Snow. So I’m favorably inclined to Rickon’s older brother. But, I’m worried about Bran’s future path. There’s some serious dark vibes about a child with mind-control powers being taught magic by a wizened old hermit in a cave littered with skulls. This doesn’t seem to be Hogwarts. 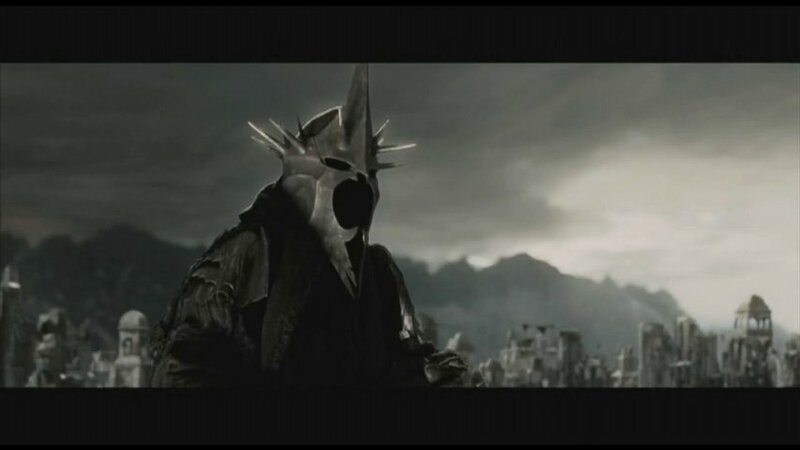 In the Lord of the Rings epic, the evil Sauron commanded the forces of orcs (a LOT of orcs) and trolls, but his elite forces were the Nazgul, the Ringwraiths. 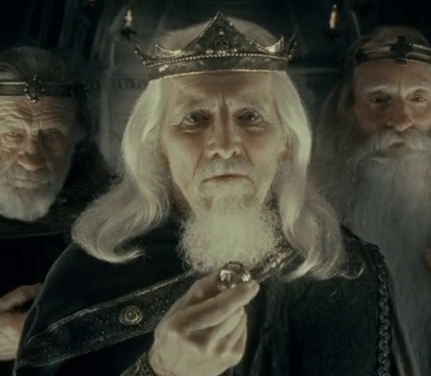 The nine black riders who pursue the hobbits from the Shire to Rivendell were once nine kings who had accepted rings of power from Annatar (Sauron in a pleasing disguise), but over time the rings took hold, turned them into the shadowy living dead, and bound them into service of evil. Hey There! Pleased to Meet You. HEY THERE! PLEASED TO DEFEAT YOU! So, Angmar’s story is about a guy who ends up turning to the dark side when granted power from a mysterious being. Stuff like that happens all the time. So what does that have to do with Bran? 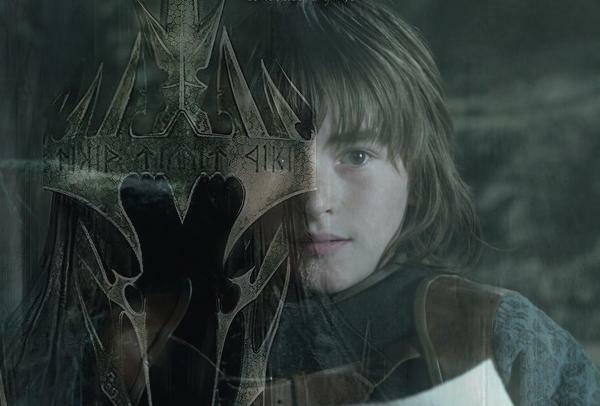 Maybe nothing, but to me there are similarities between young Bran and the Witch-King that bear discussion. Straight up, they’re both Northern Kings. What? I hear you say. Bran’s not a king! Bran’s currently made it to the secret lair of some ancient lich-like guy, who called Bran to come north with some kind of promises. Bran’s weak and vulnerable. He’s not asking for references, or trying to get a gauge on the morality of the person referred to as the Three Eyed Raven. All we know is that this wizened nigh-mummy hangs out in tree roots, in a cave littered with skulls, served by non-humans. But Dobby Love Brandon Stark! The Children of the Forest certainly don’t look like orcs, and the cave isn’t like the lava-filled caverns of Mount Doom, but we just don’t know. Raven Three-Eyes might not have an agenda that’s altogether heroic and sweet. I think it’s worthwhile to keep that possibility on the back burner, or not lose sight of it, or whatever the appropriate metaphor would be. I hear you. 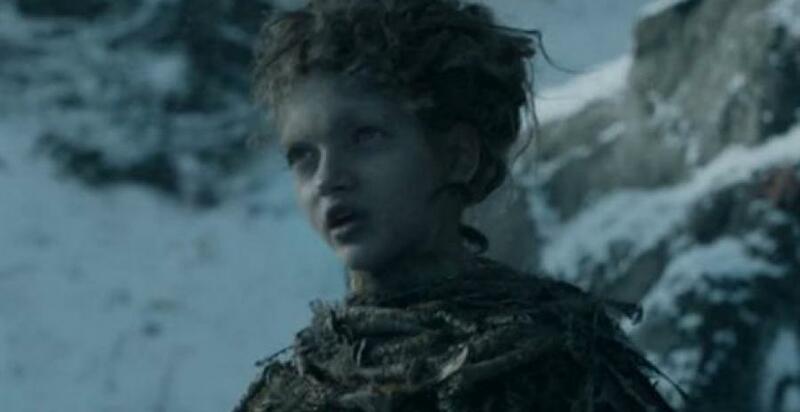 Arya was a sweet kid at one time too. Ask the Hound, dying slowly from his wounds and denied mercy from Arya, if she’s a sweet kid now. People change. But Bran’s already been changing. In the first episode of Game of Thrones, Ned Stark takes a moment after beheading an unlucky Night’s Watch deserter to discuss with Bran the ethics of the situation. Ned: You understand why I had to do it? Bran: Our way is the Old Way. Ned: The man who passes the sentence should swing the sword. Now, Ned is talking about a specific situation of northern law, but in general, he’s saying that a person does his own dirty work. Otherwise, it’s too easy to initiate distasteful behavior if there are no personal consequences. It’s one thing to have others carry out the unpleasant tasks, things that might gnaw at your conscience. It’s meaningful to do it yourself. Bran does not follow the Old Way. He makes Hodor do his dirty work, and has Hodor live with the consquences without thinking what that means to Hodor. The show has gone out of its way, particularly in the fourth season, to show that although Hodor is a giant, he is a gentle giant. When Bran and the Reeds were captured by the Night’s Watch mutineers, Hodor was chained and bullied, while not offering any resistance or retaliation. Rast the mutineer marveled at this, since he recognized the physical power that Hodor had without understanding the pacifist nature inside Hodor. Bran is a child, and doesn’t know to respect the pacifist nature inside Hodor. 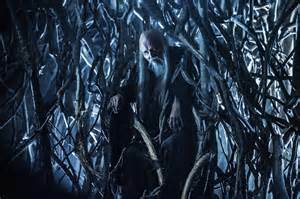 When the Night’s Watch attacked Craster’s Keep to capture or kill the mutineers, the Bolton bannerman Locke attempted to abduct Bran. Bran used his mind-control “warging” ability to possess Hodor. Bran, controlling Hodor’s body, brutally killed Locke. Bran, upon “exiting”, calmly ordered Hodor to carry him back to the others. Hodor, confused, was horrified at the sight of a dead man and his own hands covered in that man’s blood. Bran didn’t seem to share any of the emotional consequences of killing someone, he left that all to Hodor. I’m not going to cry any tears for Locke, and I also don’t think it’s correct to insist that crippled Bran extricate himself from the situation in some other way, but I do feel for Hodor. My fear is that Bran doesn’t respect the boundary between himself and others. If he could control Hodor, could he control others? That’s typically a problem that comes up in stories with people who are gifted with mind-control. Should they wish it, they could win every argument. Get exactly what they want. Indulge all their whims. Unless they have a serious moral grounding not to do so. George RR Martin wrote a series of books (some he authored, some he edited as a shared universe) called Wild Cards. Wild Cards is a science-fiction/superhero genre series where humans, through the introduction of an alien virus, develop mutations and comic-book inspired superpowers. One of the “Aces” of the universe, a metahuman with miraculous powers and no physical deformities, was Puppetman. Puppetman had the ability, much like Bran, to control others, to see through their eyes, and to force them to do horrible things that they would have rather not done. Puppetman was a villain. A monster. He became a monster while he was a child, before he could develop a conscience or a moral compass. I’m hoping that doesn’t happen to Bran, but I can’t rule it out. Are these allegations solid? I don’t know, and there appears to be evidence against it. Bran might very well be in the company of the righteous. 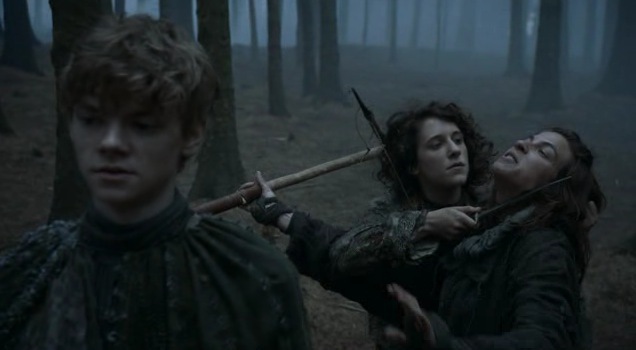 Bran is assisted in getting to the Far North by the Reed children, Meera and Jojen Reed. Their dad, Howland Reed, was one of Lord Eddard’s bannermen and saved Ned during Robert’s rebellion. (I hope hope hope that we get to see this in flashback in Season Five. Super hope.) So they have some decent credentials. But we really don’t know what their agenda is either. Meera appears to be following Jojen’s lead, and he is guided by mysterious and prophetic visions. We know he’s seriously committed to his cause, since he didn’t flinch when walking into the wight-trapped ice that would be his doom. It’s hard to assess the morality of a zealot. Hey! I hear you say. The wights guarding the cave, trying to prevent Team Bran from getting inside (and the fact that the cave was anti-undead magically protected) kind of puts Bran’s old guy mentor in the good camp, right? That is a compelling argument. It appears that the Three Eyed Raven isn’t part of Team Other. Doesn’t necessarily mean that mean he’s good, though. We just don’t know much about the Children of the Forest and their relationship in regards to humanity, or the Others. We just know that the Wildlings are on the move south, to get away from the Others. And those Others seem to be on the move. Imagine if the White Walkers are on the move to get away from something even worse? Bran’s story in HBO’s Game of Thrones has nearly caught up with the books, so I’m keenly interested in what Bran’s course will be. All we know from the Three Eyed Raven is that Bran will never be able to walk, but he will fly. I’m reminded of another northern king, known for a winged mount. Hey There! Pleased to Eat You! This is all speculation, but I would not be surprised if Bran Stark, whose journey we follow more or less sympathetically (it’s a bit more engaging in the books), actually turns out to be a problem to be dealt with by characters we eventually identify as protagonists in the end-game. GRRM is kind of sneaky about turning our sympathies towards earlier established villains, or making charcters that would otherwise be the traditional heroes far from blameless. It would not shock me if this happen to cherubic Brandon Stark as well. I have hopes for Bran, but I can’t pin all my hopes on him. But who cares what I think? What do you all think? Images from HBO’s Game of Thrones, and New Line Cinema’s Lord of the Rings. Love your captions. I must be one of the few people over 40 who haven’t actually read Lord of the Rings (my husband worries about me). Interesting correlation between the two stories though. Thank you so much for the feedback, it’s much appreciated! btw, I read your blog to the hubs and he’s the one that answers the poll for me. 🙂 I remember! He voted in a previous poll. Thank you for reading, and thank him for voting! Bran’s too cute! Yes, I am totally swung by the sweet little kid thing. It would be incredible if the Northerners somehow ended up on top in the end. Unlikely from this position, my heart says no, but plotwise if you were thinking possible double bluff…? Hey Denise! Glad to see that Team Bran is represented! I agree that Bran seems likely to become a problem, but in the meantime my only complaint about Bran (as a TV-watcher only who made a few attempts to choke the books down but couldn’t manage it) is that his arc on the show has been the one I care least about. You tease my by saying it’s more engaging in the books! Sorry about that. And Bran’s presentation on the show is kind of less than, compared to everyone else. It’s too bad the actor became a grown up, little wee Bran was so cute. Watching the TV series, I often lamented they weren’t playing up Bran’s storyline as much as the books. I get–time restraints and all that. I’m hoping they’ll compensate for it later. I hope that as well. I understand why they have to trim stuff, but Meera and Jojen’s background as swamp-dwelling crannogmen was really cool in the books, as was her story of the Knight of the Laughing Tree. I was really hoping we’d have gotten some of that. Love your insights! I find Bran intriguing because he has been set up to go either way. I love that there is no clear line in this series between “good guys” and “bad guys” and our sympathies are often manipulated and turned on us. And you make a very good point with Hodor. Bran may have not had many options, but he didn’t seem apologetic about it, either. Usually writers will give a hero guilt so that his evil deeds are forgiven by the reader. GRRM likes to twist the “usual” way of story-telling, and it tickles me. Ned Stark: traitor to the crown. Catelyn Stark: unholy creature of vengeance. Robb Stark: traitor and rebel leader. Sansa StarK: dark lady of the Vale. Bran Stark: disciple of darkness. Rickon Stark: ???. Unknown, but may be living with the barbaric skagosi people, becoming a barbarian himself. Behold, what happens when the world beats down the people who stand for what is right. Of course, with Martin’s work, it’s never so simple as one side being right or wrong, but someone will definitely have reason to fear Bran. Yeah, Bran will probably end up being feared by someone, and with good reason. Thanks for dropping by! Oh, have you heard the theory about the Starks having a connection to the White Walkers? It would give “Winter is Coming” a meaning much more like the other Houses’ words. Yeah, on the show, we haven’t seen Coldhands (the guy riding the elk), so Sam was never told not to reveal to anyone about Bran going North. Because of that omission, there was no reason for Sam to not tell Jon about seeing Bran. Now, I’m not saying definitely that Bran is evil, or going to be evil… I just like it as a possibility. Hey! You’ve read a lot of my posts today, thank you very very much! “…they were afraid of the Witch-king, who (they said) could make frost or thaw at his will. Morgoth the first Dark Lord also had power over ice and cold :). 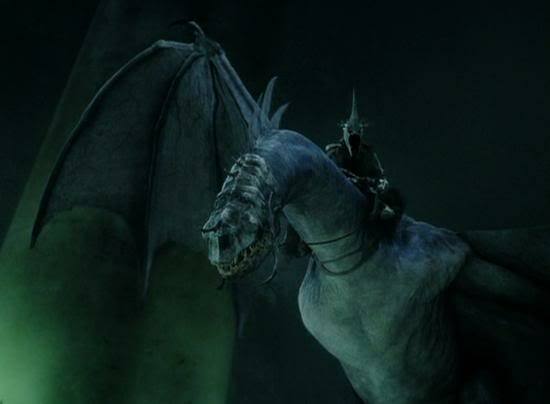 Witch-king possesses many powers, he practiced sorcery and necromancy (not to mention that Sauron if he wanted could give his chief Nazgul additional demonic power), the Barrow Wights are one of his ‘creations’ and answer to his will. The Barrow-wights of Lotr are more intelligent and more dangerous version of wights from westeros in my opinion, 🙂 there are stories of their powers “dreadful spells of the Barrow-wights about which whispered tales spoke”. All in all interesting thoughts to compare those two characters. Hey, thank you for bringing all the Witch-King and Barrow-Wight info, that’s excellent. You might be interested in my Orcish Perspective on Game of Thrones post as well, where I do some general Game of Thrones/Lord of the Rings comparisons from the viewpoint of Sauron’s minion muscle race. 🙂 I know that after you left this comment, you read my Orcish based post, and that they’d consider Joffrey an evil elf, Gregor Clegane the world’s largest dwarf working for elves, and probably be mad at the Boltons because they allied with the Freys, who killed a dire wolf – an animal associated with Starks and orcs. Thanks for all of your comments today! So it seems Bran does have a conscience, but only those who read the books are aware of it. I remember thinking “poor Hodor” I’m not certain that he really understood what had happened when he saw the blood and Locke laying in the snow all broken. 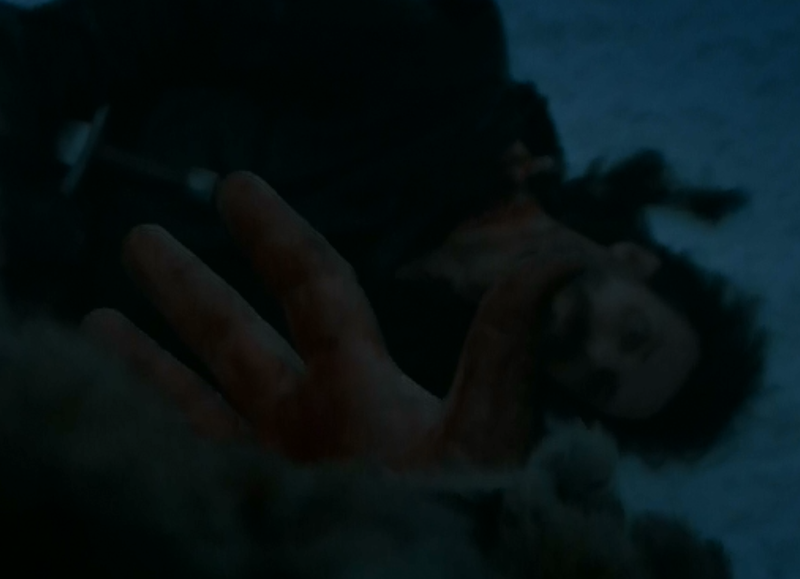 But he seemed afraid and Bran (in the show) was quite callus about it. It could have gone differently, Bran didn’t have to turn Hodor into a murderer.. he could have made Hodor sit on/hold down Locke, or knock him out and tie him up.. lots of non lethal options were available. I concede that in the “heat of the moment” perhaps even Bran didn’t understand Hodor’s strength and didn’t expect that Lock would end up dead (maybe the goal was just to make him pass out?). But given the result, Bran could have made Hodor hide the body and wash his hands off in the snow before relinquishing control. He showed no consideration for the feelings of someone who has done everything he could to help and protect Bran and his brother. I am concerned that we seem to have a bunch of children and teenagers with their not fully developed cerebral cortexes, running around wreaking havoc, making and breaking deals, getting into situations they can’t handle, with no regard for the consequences and they’re hormonal and /or entitled and/or traumatized victims with PTSD with no one to help or guide them because the responsible adults are absent (or worse than they are).